It is already November which means holiday prep is in full swing! One of our favorite parts of the holidays are getting family and friend’s Christmas cards in the mail (or really any snail mail for that matter). Last year, Jacki DIY’d her holiday cards (post here) so this year we wanted to take full advantage of the cutest holiday cards by Basic Invite and take a bit of the work out of the process. 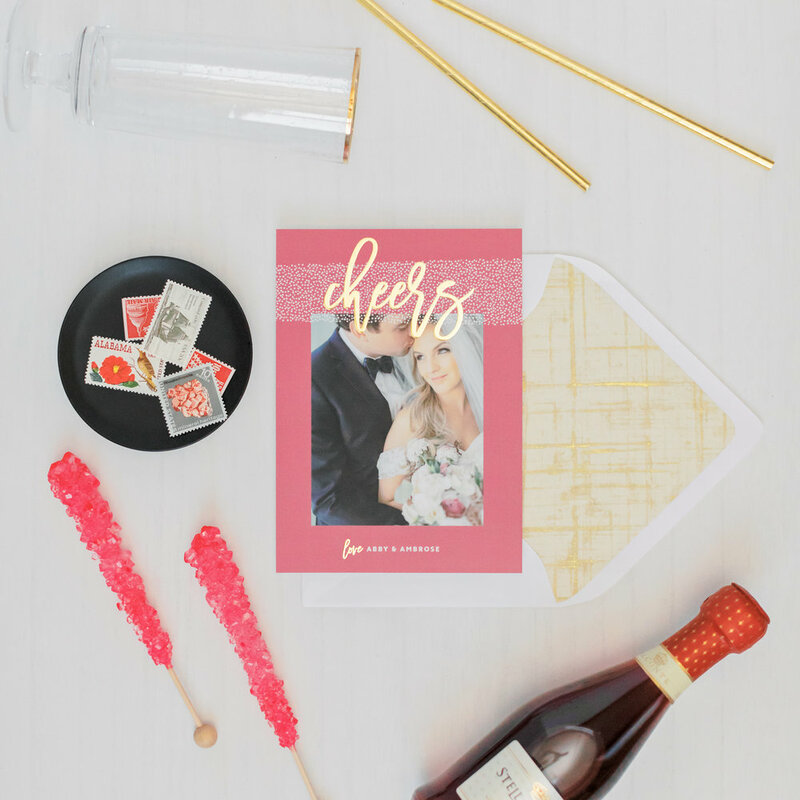 Basic Invite has an unlimited number of colors to customize each card and the option for gold, silver, and rose gold foiling (swoon). We both went with the photo Christmas cards and tried a variety of colors and foiling and I honestly cannot pick which one I love most! Obsessed with the combo of gold foil and burgundy or navy. They also have loads of other work holiday party invitations, stationary, even websites. Best of all they are all affordable photo Christmas cards. In true fashion we still DIY’d the envelopes because Jacki can’t pass on an opportunity to make something. Basic Invite has dozens of envelope and liner options so you can’t go wrong! Basic Invite is offering 30% off to Clocking Out readers with coupon code HOLI30 so get on those holiday cards early and take full advantage of the savings!